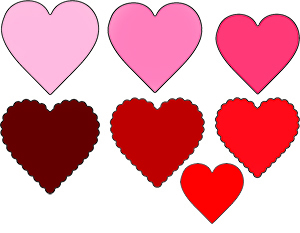 Mini Hearts Layering Die Set of 7 dies. Set includes: 4 Heart Dies and 3 Scallop Heart Dies. Coordinates with Triple Mini Heart Card Making Die (PCDIE060).